I have a very strict “No Christmas Before Thanksgiving” rule. I just broke it. 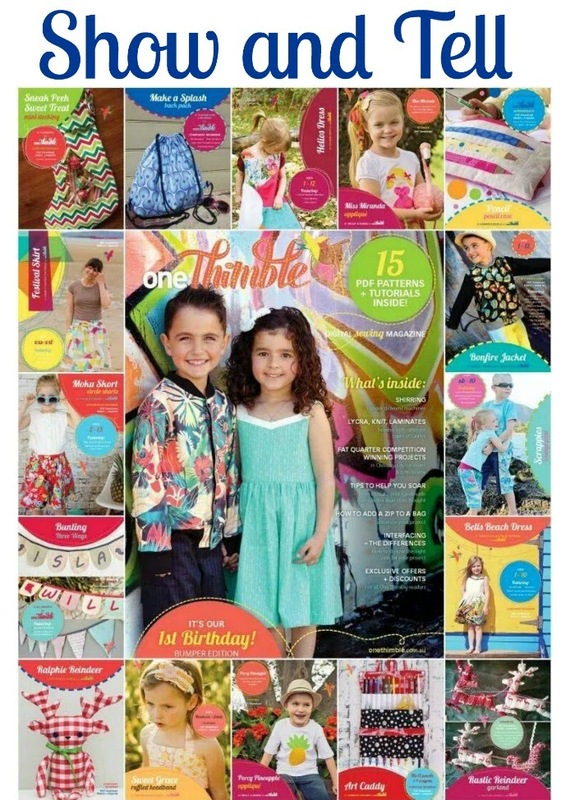 Have you heard of One Thimble e-mag before? Such a beautiful magazine style collaboration! This is their fifth edition AND one year anniversary. It’s based out of Australia, so this special holiday edition has a fantastic beach vibe that feels so exciting and exotic to those of us in the Northern Hemisphere. 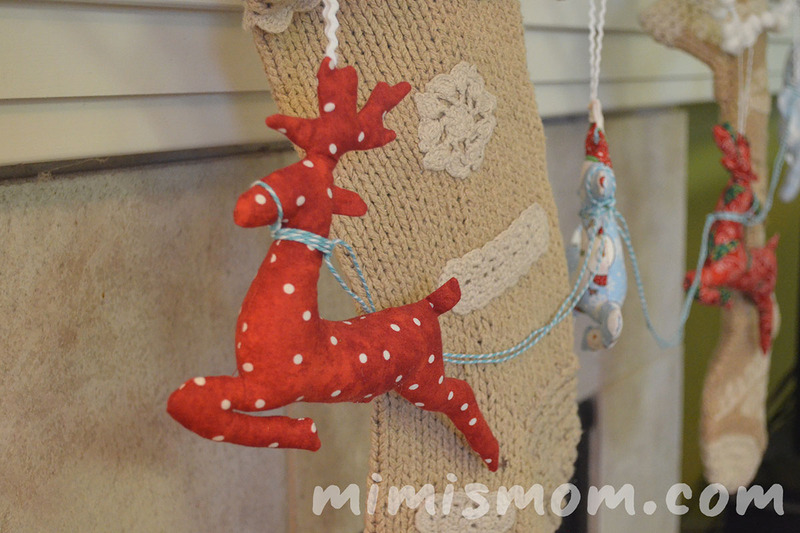 I had a chance to sew up the Rustic Reindeer Bunting and Ralphie Reindeer from the latest issue. This completely goes against my defense of Thanksgiving. See, my birthday is that week, and I just don’t want Christmas to invade until after. But then, once that Friday comes, it’s open season on festivities. If the whole month was filled with nothing but crafts and baking and good smells and cozy sweaters, I would be okay with that. But real life still takes place, and there are years I forget to decorate until December 20th. Not this year. 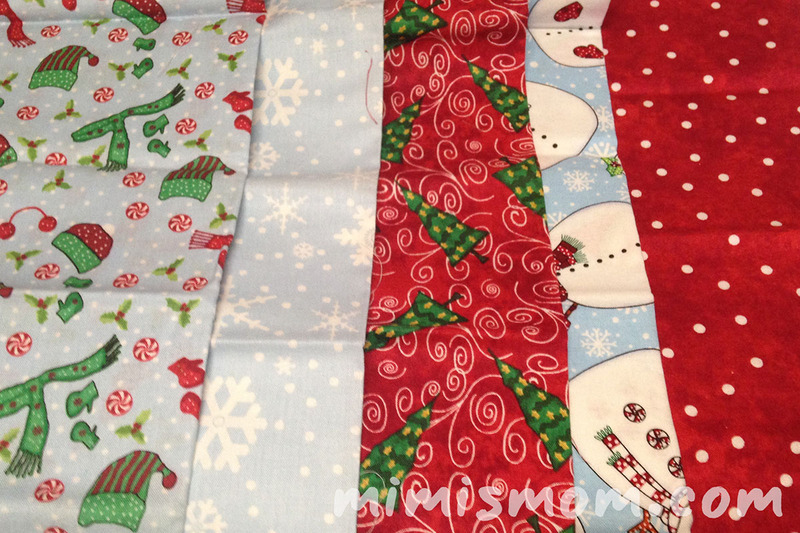 My youngest helped me pick out the fabrics for each reindeer from this pack of fat quarters in my stash. 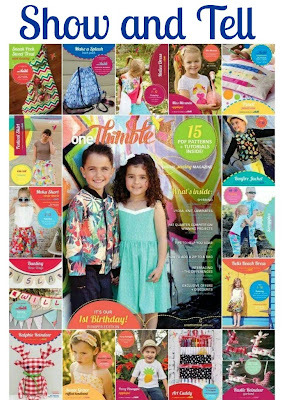 These patterns each actually fit in one FQ each! We mixed it up a little though. She got to help make editorial decisions about all the details. The jury’s still out on the eyes we picked for Ralphie. 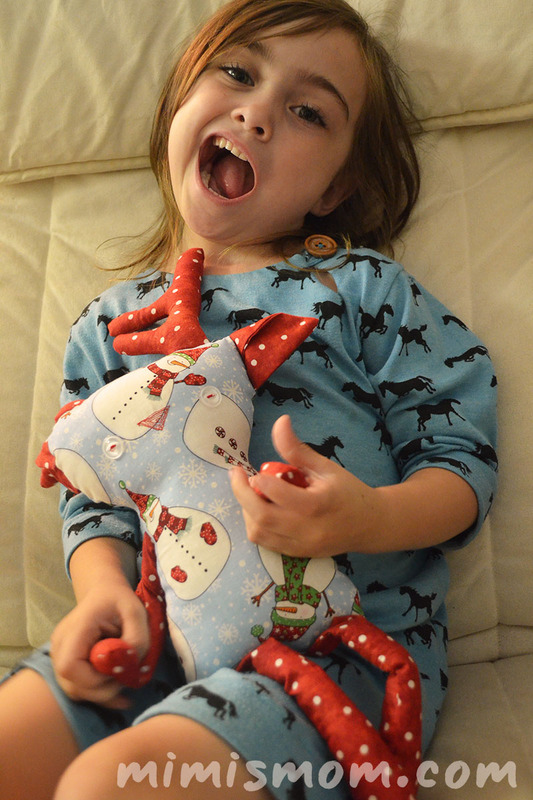 Ralphie is designed by Stitched by Crystal and is super cute! 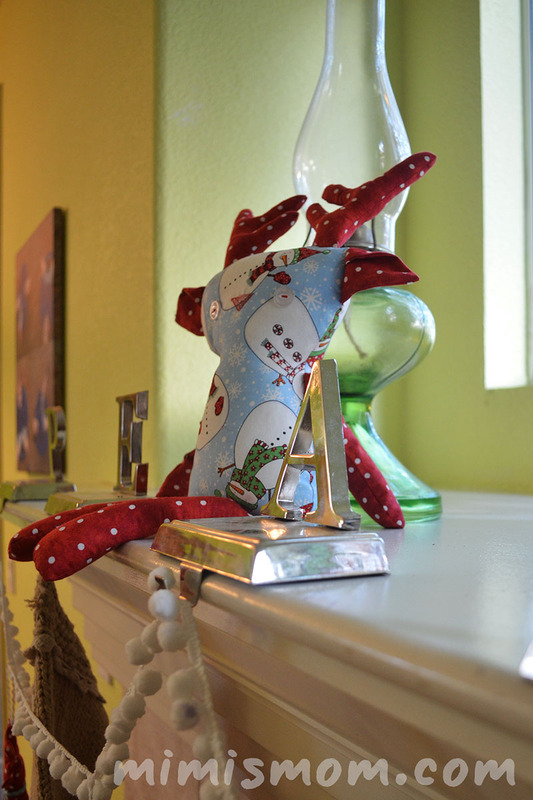 He’s an easy but fun stuffie that makes a fun decor item or friend. Pretty sure the other two kids need their own. Luckily I have a helper to work on those with me. 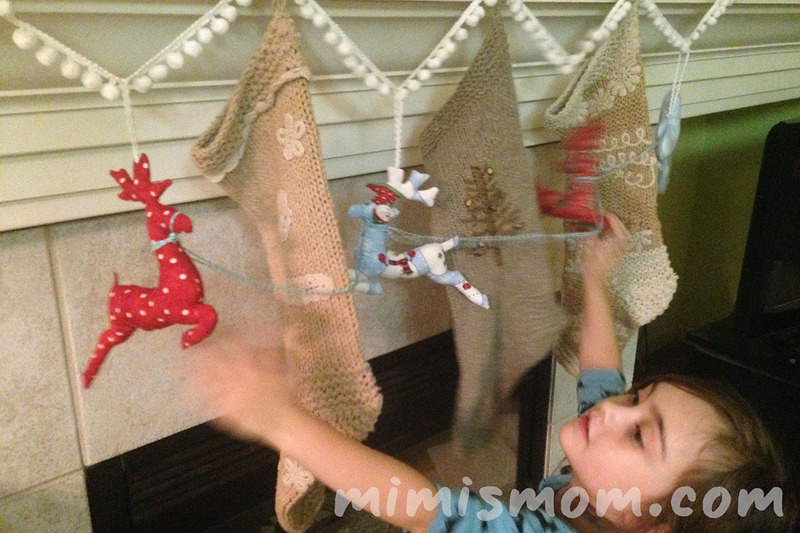 The Reindeer Bunting by Mother Grimm is not for quitters! 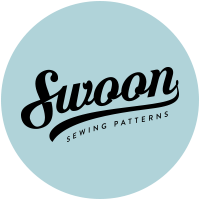 It is rated as an advanced pattern, mostly due to the 1/8″ seam allowance. Fiddly things are fiddly, but that doesn’t mean you should avoid this! It simply takes time and care. But because I don’t have a ton of time or care, I cheated a little. I used the pattern pieces as a stitching template, carefully following the lines. Then I gently ripped away the paper along the perforations. 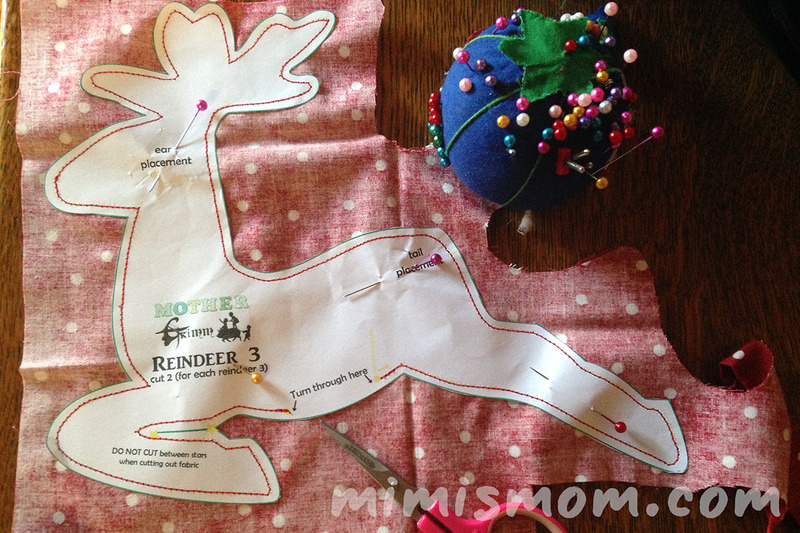 My serger tweezers and a bamboo knitting needle helped ease out the legs and antlers. 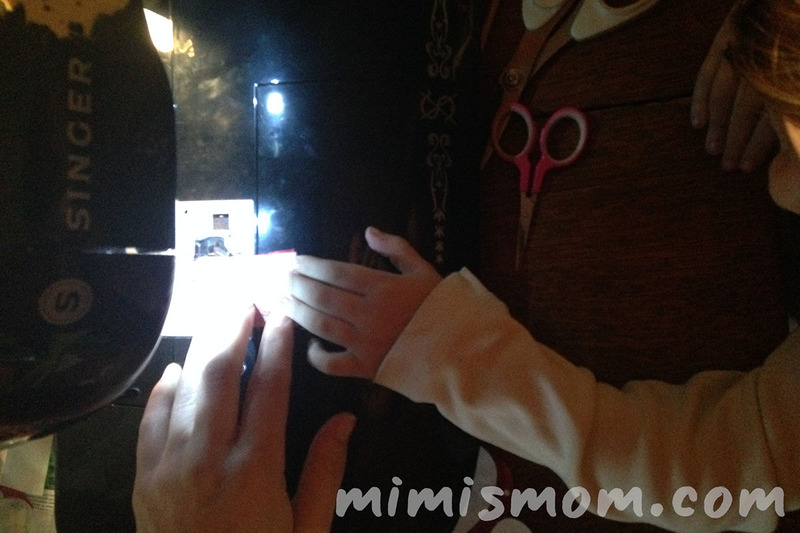 This was a really fun project that reminded me of all the crafting I used to love to do when I was younger! 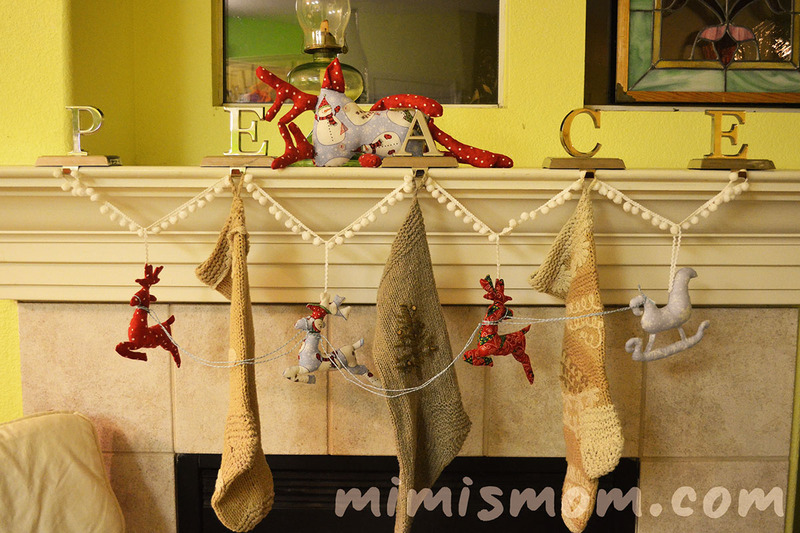 I stuck to the pom pom trim of the pattern and used more modern fabrics, but this would be fun even more rustic with twines and ticking stripes. 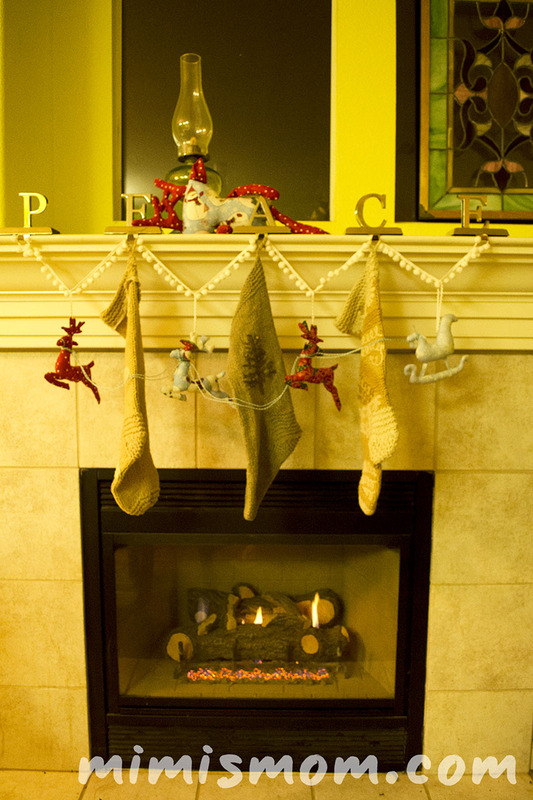 And it’s something special that can become a part of your family’s decorations that come out every year. The kids were so excited to see decorations start going up! It may be 65° with no chance ever of snow, but the slightest bit of festive decor can get any Scrooge in the holiday mood. Now to go take down my Halloween decorations from the front window. 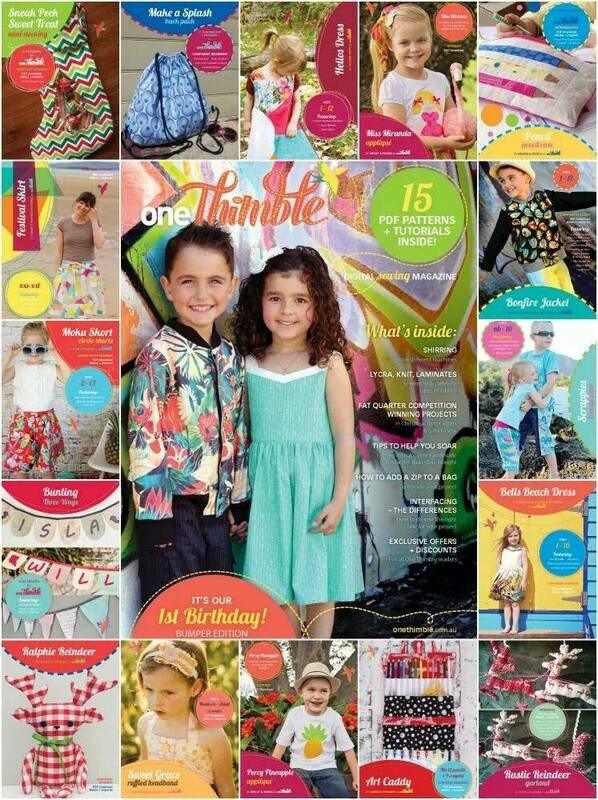 Want to win your own copy of this issue of One Thimble? Use Rafflecopter to visit these pages and earn entries! Want to see more from other bloggers on the tour? Here are the rest! 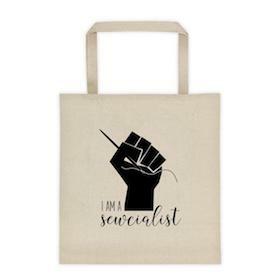 Check them out, then tell me in the comments what you want to sew up first! That ladies Festival Skirt is on my list! I received these patterns in exchange for blogging about them; all opinions are my own. 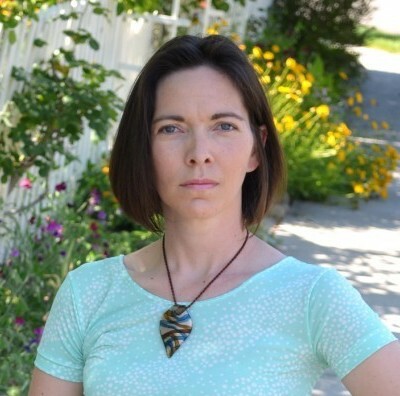 Some links on this site are affiliate links that contribute in a very small portion to my hosting fees and general well-being while costing you nothing. Thanks for reading. Please eat a cookie for me.